The second-round Western Division playoff series will be between the Clinton LumberKings and the Cedar Rapids Kernels, who won their respective series against the Peoria Chiefs and the Wisconsin Timber Rattlers on Thursday. Meanwhile, the South Bend Cubs evened their series against the West Michigan Whitecaps, and the Great Lakes Loons took a 1-0 series lead over the Bowling Green Hot Rods. The Kernels completed their two-game sweep of the Timber Rattlers with a 3-1 win at Veterans Memorial Stadium. 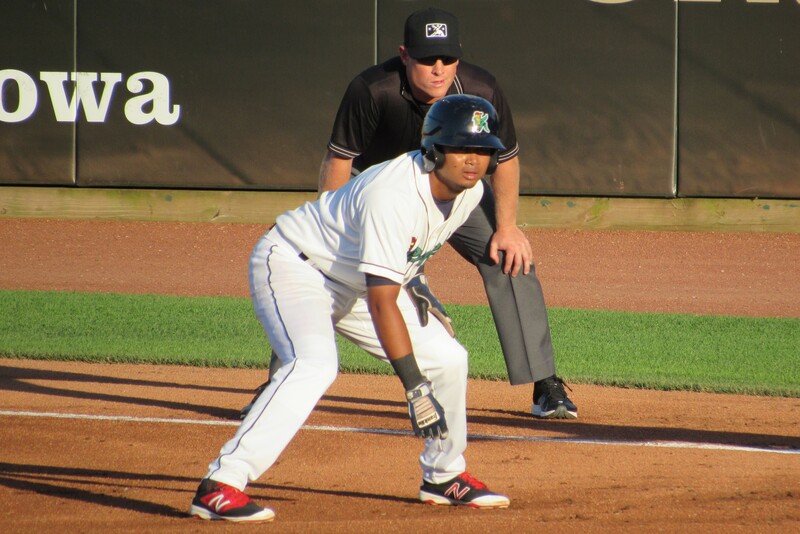 Luis Arraez went 4-for-4 with a stolen base and a run batted in for the Kernels, after the Midwest League batting champion went 3-for-5 with two RBI in the previous game. 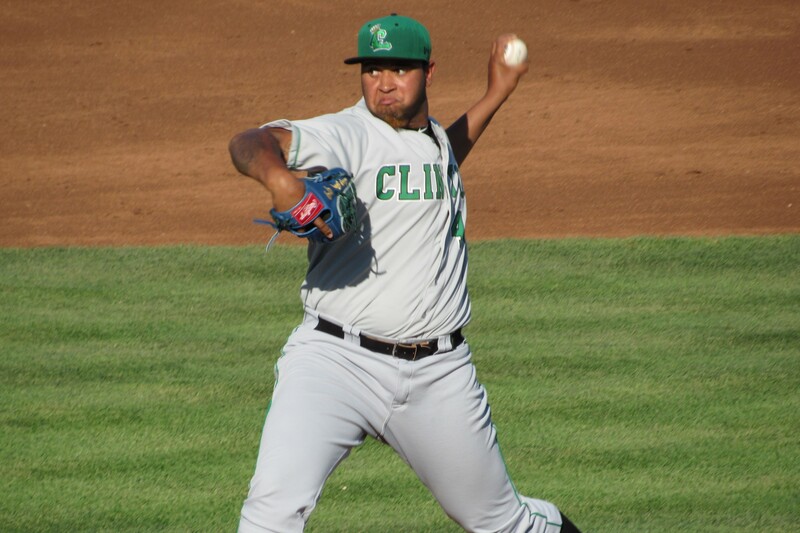 Eduardo Del Rosario got the win after giving up only one run on five hits, a walk and a wild pitch in six innings. He struck out five and hit a batter. This is the third consecutive year the Kernels reached the Western Division finals. Last year they lost the Midwest League Championship Series to the West Michigan Whitecaps in five games. In 2014 they were eliminated in the Western Division finals by the eventual MWL champion Kane County Cougars. The LumberKings also knocked off their opponent in a two-game sweep by hanging on for a 4-3 win over the Chiefs at Dozer Park. Clinton had a 4-0 lead at the stretch, but Peoria scored three runs in the bottom of the 7th to make it a close game. The Chiefs almost tied the score with two outs in the bottom of the 9th, but LumberKings leftfielder Luis Liberato threw out Matt Davis at the plate to end the game. Liberato also starred for Clinton at the plate, going 3-for-5 with a double and a run scored. Luiz Gohara got the win despite giving up three runs on five hits (including home runs by Brian O’Keefe and Chris Chinea) in six innings. He struck out eight and walked none. The Western Division finals will begin Saturday at Cedar Rapids and move to Clinton for Game 2 and, if necessary, Game 3. At Four Winds Field, the Whitecaps and the Cubs each scored twice in the 2nd inning and remained tied 2-2 until South Bend’s Tyler Alamo hit a solo homer in the 6th. Matt Rose added to the Cubs’ lead by hitting a three-run homer in the bottom of the 7th. South Bend held on to win 6-2 and will host the decisive Game 3 of the series Friday. Earlier Thursday, the Loons and the Hot Rods completed their opening game, which was suspended in the bottom of the 4th inning because of heavy rain Wednesday night. Great Lakes beat Bowling Green 15-1, which you can read about in my previous post here. Their series moves to Bowling Green for Game 2 and, if necessary, Game 3. This entry was posted in 2014 Playoffs, 2015 Playoffs, 2016 Playoffs, Bowling Green Hot Rods, Cedar Rapids Kernels, Clinton LumberKings, Great Lakes Loons, Kane County Cougars, Midwest League, Peoria Chiefs, South Bend Silver Hawks, West Michigan Whitecaps, Wisconsin Timber Rattlers. Bookmark the permalink.